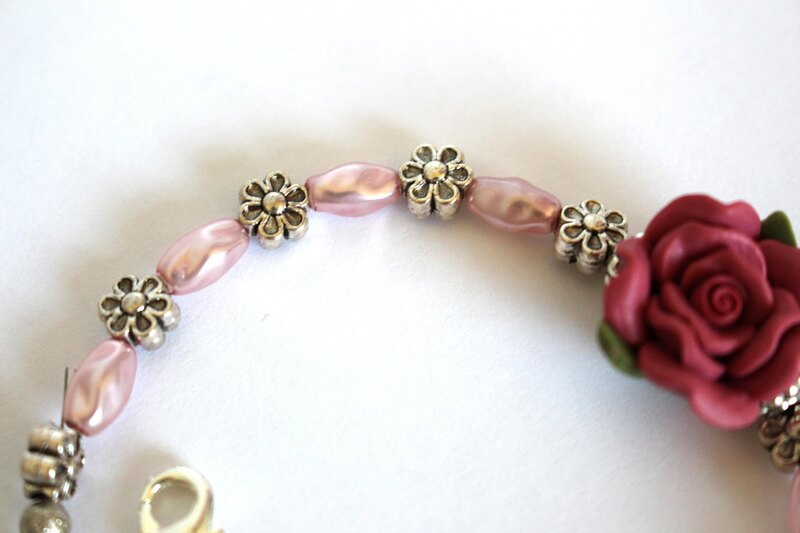 How adorable is this bracelet. I think I’m starting to get the hang of my new camera. I recently purchased the Canon 700d, which I absolutely love as it takes beautiful photos. I can’t wait to start using it more and take it with me for days out as I love taking photos. One of my most favourite places to go is Sandringham Woods, it’s so beautiful there and i especially love having picnics in the woods. One of my goals is to take a photo of a deer. I’ve seen a few in the woods but they are very quick. I also love going to Hunstanton, I can’t wait to take some photos of the beach. I’ve often wondered how a piece of jewellery would look if I designed it. I remember when I was little I used to love gathering bits of arts and crafts and making my own jewellery. Remember the little felt pieces you could get in packs and you could make them in to broaches etc. I knew that I wanted to design my bracelet so that it is more me. I automatically knew that I wanted it to be pink (I love pink) and I as soon as I saw the rose centre piece I knew that it was meant to be, (My middle name is Rose, and my favourite flower.) 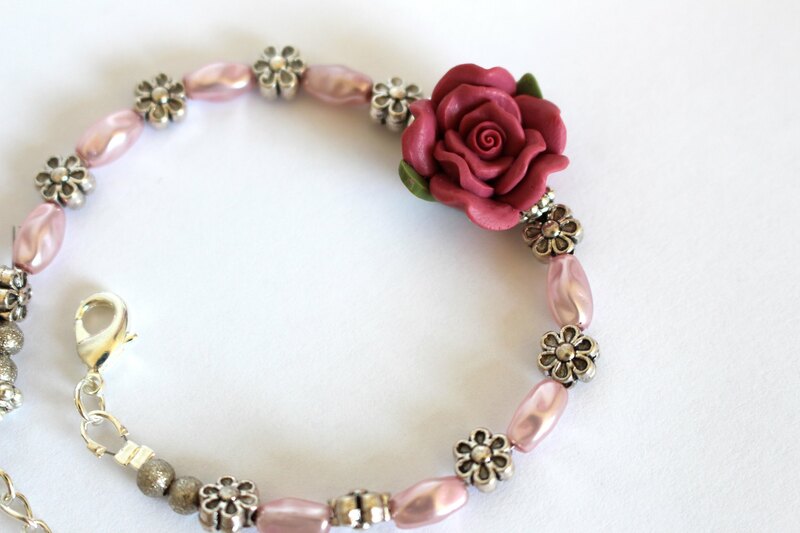 I also added some flower beads in-between the pink ones as they are so cute. I was so excited whilst designing my bracelet, I loved every second of it. One of the main things I love about Mink&Stone is how clear their design process is, so you are able to easily design your piece of jewellery without any hassle. Every instruction on what to do is noted down from the design process, to ordering and sharing your design. I am so happy with how my design has turned out, It is everything I imagined it to be plus more and I love how the bracelet comes in a cute little pouch. 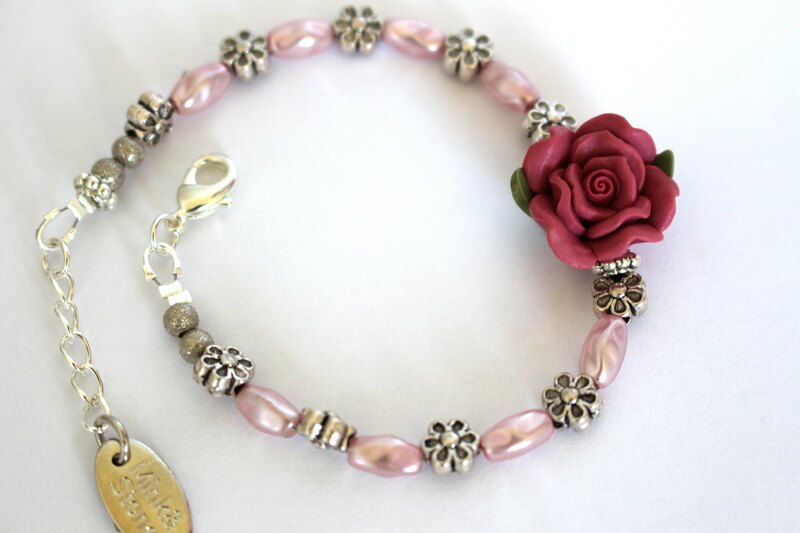 After you have designed your bracelet, necklace etc, you can then share your design, which then goes on to the inspiration page. Also if you design a piece of jewellery and share it, you can get rewards.